Are you looking for immigration to Canada from India? Are you stuck in the delusion of choosing the right path? In this competitive era, it is the need of hour to get the most up-to-date information. If you are aspiring to make Canada your temporary or permanent home, then below piece of information might come handy for you. Canada has been a hot destination for immigration since the turn of 21st century. With vast areas lying uninhabited and unparalleled potential for a better career, prosperous life and stable future Indians have been making bee lines for migration to this North American nation. Today with the most of globe reeling under the debt crisis post global meltdown, Canadian economy is one of those few nations which is in flamboyant moods and is in need of consistent inflow of migrant workers for to address structural deficiencies in labor pool. 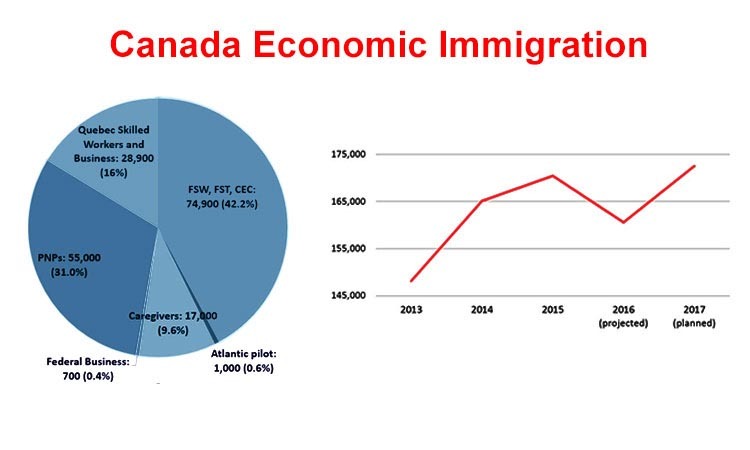 Most popular passage to Canada from India has been under Federal Skilled Migration regime. This program offers an unparalleled freedom to travel and work anywhere in Canada through Canada Immigration. Currently this program is undergoing a transformation and efforts are on to make FSWP more responsive to needs of Canadian Economy. There are some considerable changes being planned and once implemented (tentative date of enforcement of these amendments is January 2013) focus of immigration regime will shift to more need based skilled migration (as some trades have been kept in restricted professions class to curtail inflow of migrants in professions where there is a sizeable presence of local work force). Proposed modifications put the operateability on National Occupational Classification - NOC and all future regime indicators will function in close collusion with NOC. Emphasis of federal migration system is going to be on encouraging younger emigrants to participate in labor pool for a longer period. Besides age, there are other systematic modifications being planned to facelift immigration set-up. Language ability has been prioritized in new system as language is considered an important element in ability of migrants and their spouses to adapt in local socio-economic scenario efficiently and effectively! Likewise, overseas employment experience in nominated trade is not going to carry more weight as this aspect of migrant’s profile is not considered to be favorable for ability to be hired initially. Bearings of changes will be observed in point’s evaluation of a migrant. Most important step of new regime will be getting overseas academic credentials evaluated from a specified assessment agency. Only candidates with positive or neutral verification advice will be able to file for Permanent Residence. A new classification “Federal Skilled Trade Class” is being introduced. This new incorporation has been planned as a move to appreciate needs of provisional requirements of Canadian labor pool. To qualify for this scheme you would need to either have a job offer on hand with tenure of minimum 1 year. Another passage to migrate to Canada is through provincial sponsorship. Different states have been running their independent sponsorship programs in coordination with Citizenship and Immigration Canada. States have freedom to maneuver their programs and sponsor people as per distinct and local aspirations. Provincial schemes are based on requirements of different sectors of states and do not rely on federal immigration structure. How to immigrate to Canada from India? Now you can migrate via 60 diverse Canada Immigration Programs that enables your smooth and hassle free immigration to Canada from India. Some of the popular immigration programs are Federal Skilled Worker Program, Provincial Nominee Program, through Family Sponsorship and also with the assistance of Canada Experience Class. If you are looking forward to immigrating to the Canadian province of Quebec, the best pathway to do so is the Quebec Skilled Workers Program. Why people immigrate to Canada? With Canada being one of the most immigrant friendly destinations in the world, Immigration to Canada is a boon to many hopefuls of a better standard of living, a plethora of employment opportunities, individual growth possibilities as well as really relaxed immigration policies which help you easily migrate to Canada, and make a mark there in your own fashion. How Canada is the best destination for migration from India? Canada has over the years been the hotbed of an inflow of immigration that finds its roots in Punjabi Sikh community who were the first ones to start this trend. A lot of people have applied for Canada Migration have flown to this immigration destination for promising employment opportunities, social care benefits, top class healthcare amenities along with world class education to complement a bright future for your children. How can I migrate to Canada without a Job Offer? One of the best ways you can migrate to Canada is via the Federal Skilled Workers Program, wherein you can apply for job on the basis of your qualifications. Herein, you do not need a job offer from a Canadian employer, but need to have certifications to get the CRS score, to be eligible for the ITA that ensures you your Canada PR Visa. There is also Provincial Nominee Program, within which some Canadian provinces allow immigration without a job offer. How Abhinav is best immigration consultant to move Canada? Abhinav is known for its quality Canada immigration process offering a myriad service at affordable fee. The pioneering Immigration consultancy has earned Trust and Credibility, ensuring a continued stream of referred clients over the span of 25 years. Also, they are proud members of reputed trade and professional bodies like NASSCOM, ASSOCHAM FICCI, AIAI, IOD and PHD Chambers of Commerce.